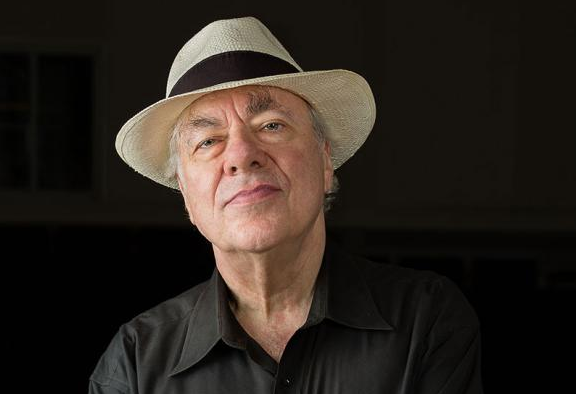 Can there be any better therapy than to spend an evening with Richard Goode in recital? I mean therapy here not as some kind of temporary balm but as a restorative of a sense of musical health. Mr. Goode’s playing, for me, is able to reaffirm the essential values that make music such an indispensable part of life. It’s admittedly hard not to wander into Ye Realme of Hyperbole when attempting to convey just what it is that makes Mr. Goode’s pianism so damn appealing. But after two blissful hours of listening to Mr. Goode at Meany Hall — his program this week was part of the University of Washington’s World Series and followed — I emerged invigorated and more alert to the unique qualities as well as the originality of the three composers Mr. Goode juxtaposed in his recital. His program framed the early Romanticism of Robert Schumann’s Op. 6 Davidsbündlertänze (1837) with two examples from the early 20th century: selections from Leoš Janáček’s cycle On an Overgrown Path (published in 1911) and the first book of Claude Debussy’s Préludes (1910). All three call for innovative approaches to keyboard sonority and form alike. Mr. Goode’s musicianship proves so enthralling in large part thanks to the sense of conviction undergirding his interpretations. Now 70, Mr. Goode plays with all the intensity of someone eager to share the miracles of a new composer he’s freshly discovered, whose code he’s just cracked. There was never even a hint of “getting through” this or that thorny passage using tricks worked out decades ago. Of lazy habits or complacent readings I could detect not a trace. And that means being unafraid to push in surprising directions (particularly in the Schumann) so as to risk a certain emphasis or refine a structural insight. The curious thing is that Mr. Goode’s fearlessness isn’t reckless or arrogant — on the contrary, it’s simultaneously reassuring. I repeatedly enjoyed the illusion of being treated to a private performance in a salon, with the pianist showing off something exciting he couldn’t keep from sharing. So in the Schumann, for example — he played the entire 18-piece cycle from memory — Mr. Goode emphasized the fantastical contrasts of Schumann’s bipolar alter egos. His remarkable feel for dynamics allowed for maximal, shocking antitheses: heaven-storming attacks followed a second later by eerie, muffled scamperings. Here was composition as the art of non-transition: rather than smooth over the rapid shifts of thought, Mr. Goode sought out the emotional logic within Schumann’s mercurial, wildly roaming imagination. But Mr. Goode avoiding invoking the cliché of the “unstable” Schumann, as if this music foreshadows his mental breakdown. This he accomplished largely by digging in to the pockets of humor which abound in Schumann’s score. The more serenely lyrical dances, meanwhile, carried over echoes of the calm, knowing simplicity that radiates from the Janácek with which the program opened. Mr. Goode chose four pieces from the first book of On an Overgrown Path. I felt fortunate to be hearing these, performed by this particular pianist, so soon after experiencing Peter Brook’s The Suit at Seattle Rep.
Janácek’s pared-down lines and poignant, clutter-free harmonies suddenly seemed to share a kinship with Brook’s enigmatic clarity. Through the briefest of gestures — the mere wisp of an interval as ostinato, for example — Mr. Goode’s sensitive reading conveyed all the compressed density of meaning of a Webern score. When Mr. Goode returned for the program’s second half, I admit wondering how he could possibly elicit a connection between the Debussy and what we’d previously heard. His Schumann was clearly forward looking, far ahead of his time, while his Janácek breathed nostalgia free of sentimentality with its elegiac, backward glances. Soon it became clear that the connection was in Debussy’s own startling contrasts — spread out though they are over far larger scales — and in those evanescent, painterly gestures of a measure or two that suddenly illuminate an entire prelude. The spangle of notes at the keyboard’s uppermost extremity which ends Les collines d’Anacapri, for instance, glittered with an almost psychedelic vividness. And with La fille aux cheveux de lin, Janácek’s unfeigned simplicity was again recalled. I found much of Mr. Goode’s Debussy refreshingly unconventional. In lieu of the intensely sensual, “sonorous poetry” you often hear in accounts of the Préludes, Mr. Goode showed off the solid construction of Debussy’s thinking with rhythmic acuity and clearly articulated voicings (his pedal technique is superb). Humor, again, was given its due, along with the proto-jazz elements that Debussy annexes to his vocabulary.